Can healthy aging strategies protect your memory? 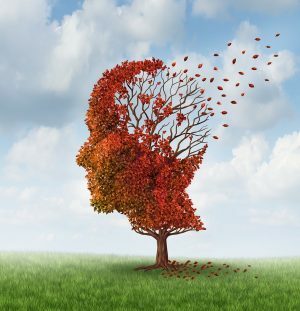 As we age, we expect our memory to get a bit less sharp, but a number of studies suggest that there are several fairly simple ways we can fight against memory and cognition loss. To understand what you can do to protect the health of your brain as you grow older, you need to know a little about which parts of the brain perform which functions. The hippocampus is involved with the formation, organization and storage of memories. It is also involved with emotional responses, the ability to navigate and spatial orientation. As we grow older, the hippocampus shrinks considerably faster than the rest of the brain, about .5 percent per year after the age of 50. You may notice that you forget where you put your keys or the name of someone you met last week more frequently than before. That’s due in part to the shrinkage of your hippocampus. According to Dr. Fotuhi, it’s important to start working to protect and improve your brain health early, so even if you’re nowhere near 50 yet, start taking these steps now. To learn more about the proactive steps you should take to protect your brain health and improve your memory, listen to this recent webinar we produced with Dr. Fotuhi, who received his MD from Harvard and his Ph.D. in neuroscience from Johns Hopkins and who is the founder and chief medical officer of NeurExpand Brain Center.